Sub-Zero Wolf provides a quality of Refrigerator including wine storage Refrigerator. Wine storage Refrigerator is popular for its unique quality and features. These Refrigerators are available at different colors and models, the price of wine storage is also optimum. 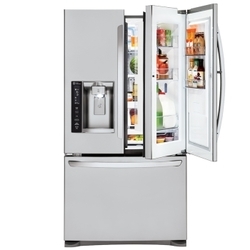 Sub-Zero wolf provides long-lasting Refrigerator to its customers and assures the quality of the product. Sub-zero wolf never compromises with the quality of the products and give the best to its customers. Sub-zero have paid attention to the storage capacity of the wine storage Refrigerator so that customers can products on a large scale. The electric consumption of wine storage Refrigerator is quite low and provide a plus point to its features. Sub-Zero Wolf gives warranty and post-sale service to the product so that the customer feels free and use the Refrigerator without interruption.